Making it through treatment and winning over cancer are major accomplishments. As a survivor, perhaps you are eager to return to good health and regain your strength immediately. But beyond your initial recovery, there are ways to maximize your long-term health so that you can enjoy the years ahead. Exercising is an excellent way to keep your muscles strong. Weakness may still occur after treatment because of the changes in your lifestyle and diet, but the right fitness training can help you get through these moments. There is no shortage of evidence regarding the role of exercise in preventing people from getting cancer. Recent reports show that working out helps keep cancer from recurring in patients. Dr. Kerry Courneya, Canada Research Chair in Physical Activity and Cancer at the University of Alberta, stated that higher levels of physical activity are linked with a reduced risk of cancer recurrence, and a longer survival after a cancer diagnosis. In another set of research on different cancers, obesity after completing therapy was associated with shorter survival times and a higher risk of their cancer coming back. In addition, the findings of Dr. Ellen Warner of the Sunnybrook Health Sciences Centre in Canada revealed that exercise and weight management are the most important lifestyle changes for people with breast cancer. Her paper, published in the Canadian Medical Association Journal, shows that women who exercise moderately significantly reduce their risk of breast cancer recurrence and death. Meanwhile, those who are overweight have the lowest chances of survival. You can find countless articles about the merits of exercising for the general population, but what’s in it for cancer patients and survivors? Breaking a sweat provides the same benefits for cancer survivors as it does for other adults. It can make you stronger, fitter, and thinner. 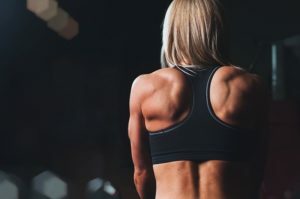 Working towards greater muscle strength, lesser weight gain, and leaner body mass will help boost your confidence, improve mood, and reduce tiredness. It will also help you sleep better, feel less pain, and become less anxious. After battling cancer, many patients tend to slow down. Depression, stress, and feeling fatigued are the usual reasons survivors become less active. However, studies show that avoiding activity is not a good solution to the problem of fatigue after treatment. Healthcare professionals urge patients to get back to exercising as soon as possible to help them recover completely. 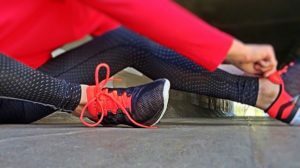 Following a fitness routine will alleviate the side effects of treatment such as decreased range of motion, lymphedema, weakness, neuropathy, fatigue, and depression. Before adding exercise to your recovery plan, follow these tips to stay safe and achieve your goals. Consult your doctor about cancer treatment side effects. While you likely have already talked to your doctor about potential side effects before and during therapy, it’s important to have this conversation again after its completion. Having this information can help you plan your fitness training according to your needs. For instance, some medications may make your muscles and joints sore. Others can increase dehydration risk or affect your balance. If you had surgery, ask which lymph nodes and muscles were affected. If you have a high chance of getting lymphedema, an abnormal buildup of fluid in soft tissue, consider meeting with a specialist first. The therapist can guide your exercise plan and monitor your body for the condition. Many people already have a difficult time achieving their fitness goals, and the challenges could be double for those fresh out of cancer treatment. It is essential to have specific and realistic short-term and long-term objectives so you don’t end up pushing yourself too hard. Some people want to increase muscle mass and lose excess weight. Others try to focus on exercises that will lift their mood or give them a better range of motion. No matter what goals you set, adjust them to reflect the changes in your work, health, and family life. Move when your energy levels are high. Your mood, fatigue, and pain levels could vary from day to day or even from hour to hour. You don’t have to force yourself to exercise when your energy level is low. Instead, find out which time of the day you feel most energetic. If you are more active in the afternoon than in the morning, schedule your training at that time. Adjust your routine as you go. Cancer treatment could have physical and emotional side effects that may prevent you from following a strict schedule, and that’s totally understandable. Listen to your body and adjust certain exercises as you work through these side effects. There’s no need to rush. Each person heals differently. The speed of your recovery depends on the treatments you had and your current fitness level. If you’re new to strength training, be patient and don’t rush it. Slowly add an activity you feel comfortable doing. You can then increase the level of exertion as you feel better. In general, a workout routine should start with relaxation breathing, stretching, aerobic activities, and strength training. If you’re not sure where to start, ask your doctor or a specialist for recommendations of qualified trainers who can design a program for your unique situation. Check in with your doctor. Your recovery and health are always changing. Even if you are finally free of cancer, you should still check in with your physician for lingering health concerns. Have them monitor your blood count, nausea, joint and muscle pain, and fatigue. Before starting any vigorous exercise program, it Is always a good idea to get the approval of your doctor first. You didn’t survive cancer just to end up on the couch. Remember that too much rest can lead to loss of body function, weakness, and worst of all, cancer recurrence. Get together with your healthcare team, plan an exercise program, and get moving. Be sure to keep it safe, fun, and make it work for you.